Sensei Ernest is the Dojo Chief for SCOREFit Academy Dojo and currently holds a 3rd degree black belt. His experience in martial arts includes competing in several national level and regional selection tournaments in his younger days. Sensei Ernest believes that Karate instills discipline and good character development. During his national service stint, Sensei Ernest was a member of the elite 1st Commando Battalion. Sensei Ernest personal statement about Karate is that while the young and able-bodied rely on explosive power and strength to overcome opponents, this ability will naturally diminish with age. Hence the importance of building a solid foundation based on decades of dedicated Kihon (basic) training to carry through longevity in practicing the art. – Appointed Team Coach for Malaysia Shinkyokushikai Karate Championship 2013 @ Kuala Lumpur. 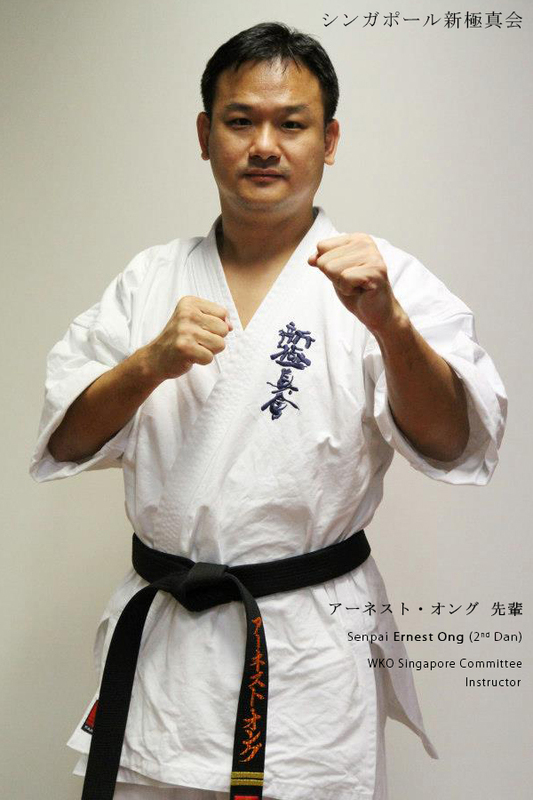 – Appointed National Coach for 15th Asia Open Shinkyokushin Karate Championship @ Kuala Lumpur. – Appointed Team Coach for 4th Indonesia Open Karate Championship 2015 @ Bali. We have classes throughout the week. Check out our list of dojos to locate one near you. Join us for the next training session today!